Hey guys! I'm sort of getting on a roll here with enough time to pitch in another post before the "ber" months come marching in. I was out with friends weeks ago to watch the screening of Fantastic 4 but I got to the mall too early giving me enough time to visit a few shops. I was holding back from making any unnecessary purchases especially related to beauty products but seeing a neatly assembled package of skin care goodies from Clinique at a reasonable price literally shook me. See what I mean? There's no way anyone (well anyone who's a skin care devotee like me) can pass by the Clinique counter without noticing what an awesome deal this is! 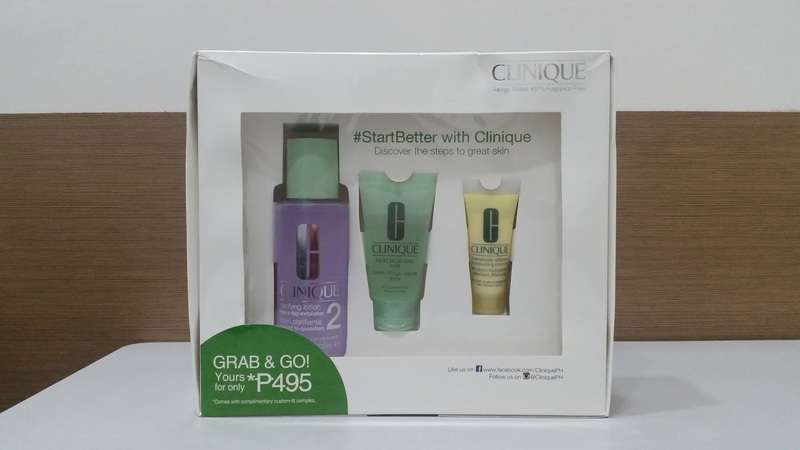 Imagine having the chance to try out Clinique's world famous 3-Step System for the low price of Php 495. 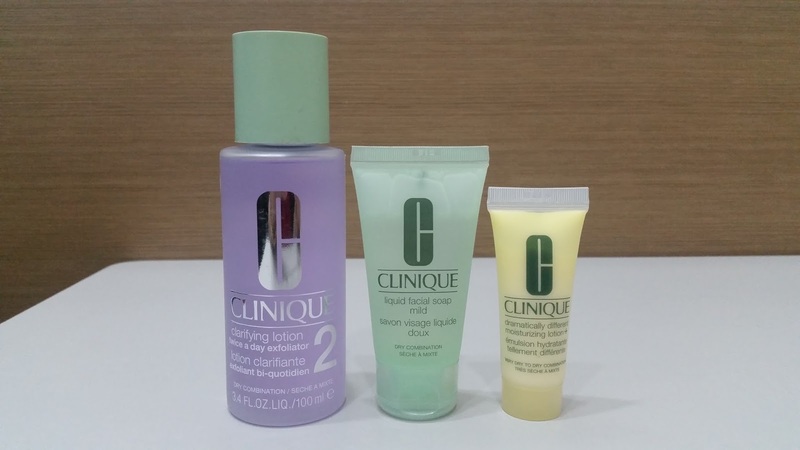 The Clinique set consists of the Clarifying Lotion #2, Liquid Facial Soap Mild and Dramatically Different Moisturizing Lotion +. All the remaining packages available have these specific products for dry combination skin and there were no other varieties left. Good thing my current skin condition is more on the dry than the oily combination. 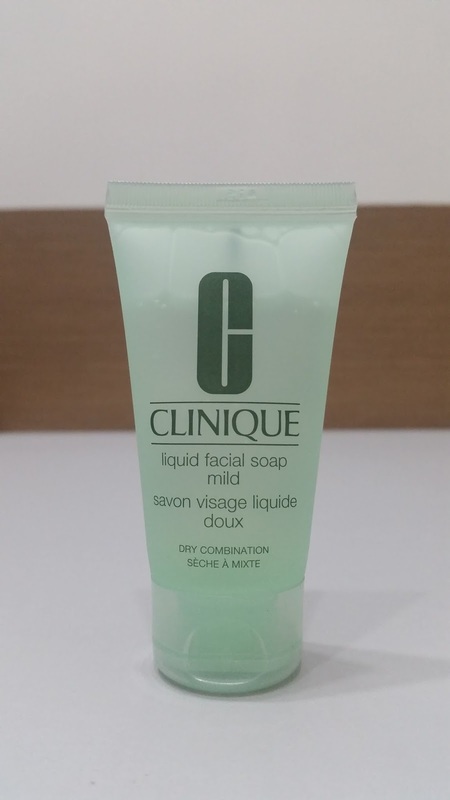 The Clinique Liquid Facial Soap Mild comes in a 30ml tube which I'm really loving for travel. It's unscented and clear with a slightly runny gel like consistency. A small amount, about the size of a 25 centavo coin, is all you need to cover your entire face and neck. It gives a subtle cooling feel on application and builds up into a rich lather. It washes off completely leaving your skin freshly clean without any dryness. I've tried tons of liquid facial wash brands but I always go back to Clinique especially during bad skin days. 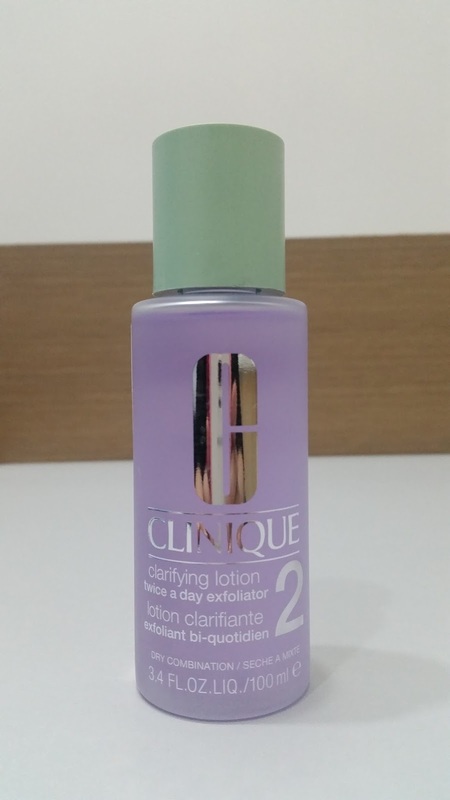 The second step features the Clinique Clarifying Lotion #2 housed in a 100ml bottle which again is great for travel. Is it just me or the wash of lilac already looks refreshing? This toner is fragrance free although I still get a whiff of minty scent on application. I love that it gives my skin an invigorating feeling without the sting. It effectively removes the remaining impurities on your face and neck after cleansing. 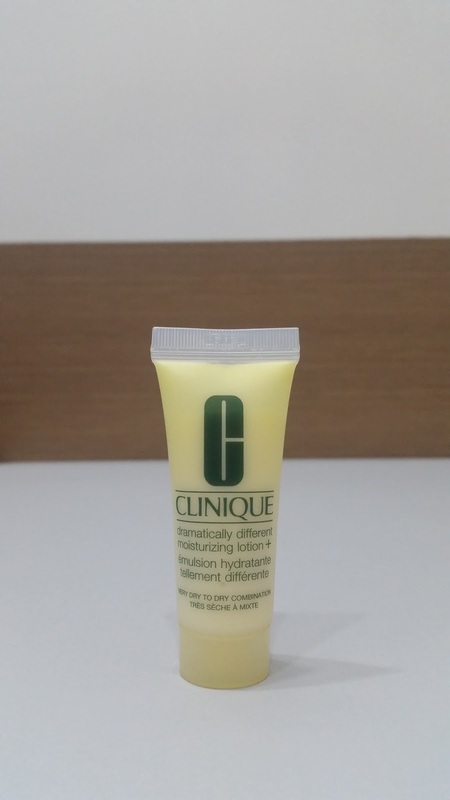 Lastly is the Clinique Dramatically Different Moisturizing Lotion + in a tiny 15ml tube. Okay, it's disappointingly small for everyday use but look on the bright side, this will barely take up space in your travel kit. I know I'll be enjoying this on my next trip. 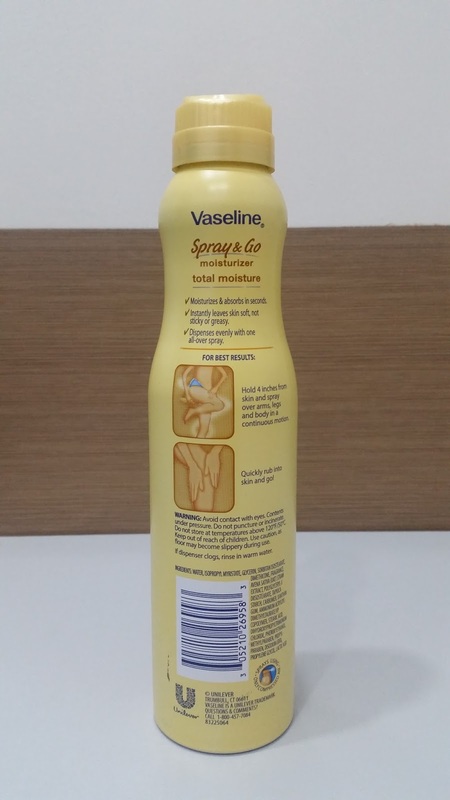 This moisturizing lotion is light yellow and unscented. It has a very light texture that melts like butter on your skin. It instantly moisturizes your skin without the heavy feeling or oily finish. I love that it doesn't irritate my skin or cause pimple break outs. Overall, this travel set of the Clinique 3-Step System rocks! If you have dry combination skin, do drop by a Clinique counter near you and avail of this amazing offer. I'm not so sure if other branches have sets for other skin types but you may still want to check out their other products. Probably the only downside here is availability of stocks. Last time I checked, Trinoma still has 6 of these so don't wait too long to get your own set. Any questions in mind? Ask away and I'll get back to you soon. Thank you for reading this post and have an amazing week! Hey guys! 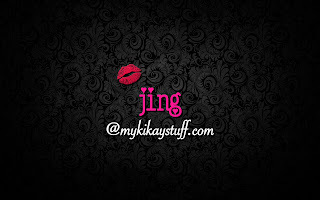 I seriously need a ton of free time to catch up on my blogging. I've been putting this off for more than 3 weeks now due to a crazy schedule. I also notice my phone's memory is getting dangerously low with all the unused blogging pictures taking up much space. Anyway, I'll just assemble a few random things I'm currently obssesing on and make a series of collective reviews. First items I'll be talking about are my everyday essentials. The Elizabeth Arden Green Tea Scent Spray has been on my radar for years but I sort of got strayed by other perfume brands that are equally great in our tropical weather like Incanto Shine by Salvatore Ferragamo and Moschino Funny. A little over a year ago, I finally bought one for 50% off the tag, an awesome deal that's too tempting to pass up. Now this bottle, though too bulky to carry around, has never left my bag since I started using it. I love the cool and clean scent it gives off, so perfect for hot days to freshen up the mood. Next item I have is the Benefit Hello Flawless Custom Powder Cover-Up in Toasted Beige. I can't help but admire the packaging every time I use this compact. I find the magnetic closure so chic and the large mirror an added bonus. It also comes with a small brush and sponge housed in a separate compartment. The compact instantly turns into a fine textured powder after a few gentle strokes of the brush. It applies smoothly and blends like a dream. It offers light to medium coverage and can cover up minor blemishes. You may still use concealer underneath to amp up the coverage. Staying power is quite decent, keeping your face shine free for up to 6 hours max. 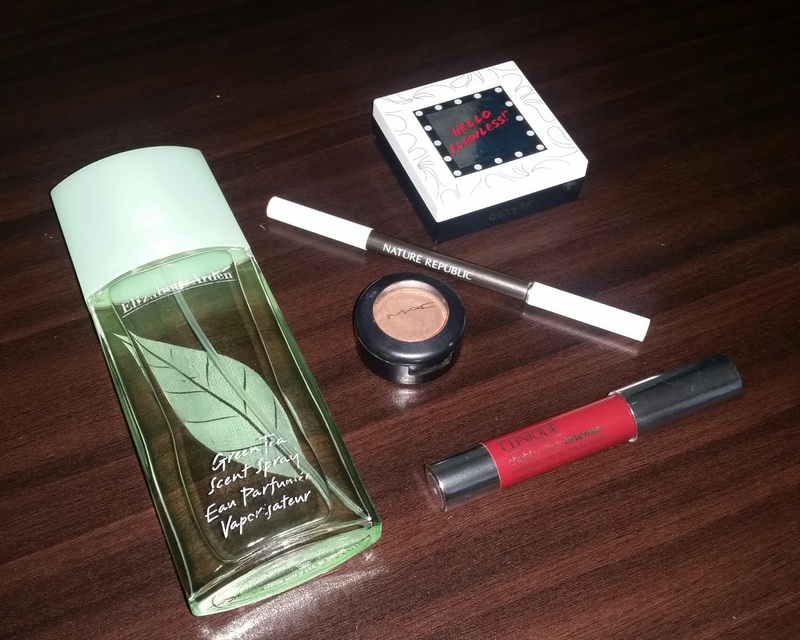 A recent favorite is the Nature Republic By Flower Wood Eyebrow Pencil. I am currently obsessed with this product because it instantly grooms my brows with just a few gentle strokes. This wonder product allows me to beautifully sculpt my untamed brows and stay that way for hours. I got the #2 shade which has a light charcoal hue. This tool has a spoolie on the other end that works perfectly in smudging the shade for a natural look. An all time favorite is the MAC Eye Shadow Lustre in the shade Honesty. This has been my go to eye color for a year now and it still hasn't hit pan. It comes in a cute tiny compact with a see-through top so you can spot the shade right away. I literally cried out after accidentally dropping it on the floor one time. The transparent cover went off but I got to snap it back on like nothing happened. Thank goodness the product remains unharmed. This shade gives off a coppery bronze with tiny bits of golden sparkle. Color pay off is excellent and the velvety texture makes it a breeze to apply and blend. Lastly is the Clinique Chubby Stick Intense Moisturizing Lip Color Balm in Chunkiest Chili. This lip product is my most recent purchase among the group and it has become an instant favorite. Packaging is pretty much the same with its predecessor, the Chubby Stick. It applies smoothly on the lips giving them just the right pop of color that's not opaque nor too sheer. Staying power may not be too long but I really don't mind since I love redoing my lip color as often as I can. It has a deep berry color that looks really flattering on medium to dark colored skin. So those are my random favorites. Let me know if you have questions about any of the products I mentioned and I'll get back to you with hopefully satisfying answers as soon as I can. Thank you for taking the time to read this entry. Have a wonderful day! Hey guys! I really love a good sale especially when I get items worth the effort of endlessly going through racks, display counters and waiting in long lines for check out. Unfortunately, I missed this year's midyear sale in Landmark Trinoma. Although it was a monthlong event, I only got to visit once. After scouring through their beauty section, I was a bit disappointed seeing 10-20% off on selected items only. 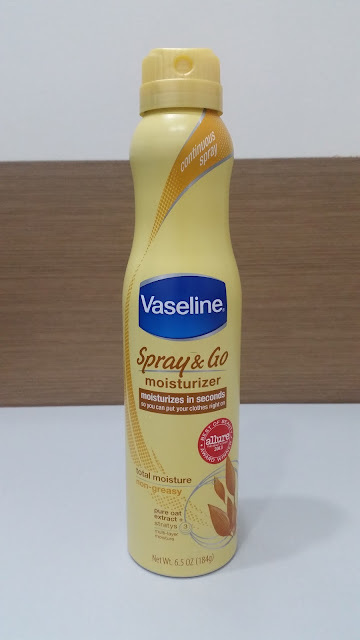 What actually made the trip worthwhile was finally seeing a product I've been eyeing since I first saw it in S&R, the Vaseline Spray & Go Moisturizer. I previously posted about not finding this in local beauty counters, so I opted to get the St. Ives Fresh Hydration Lotion which actually turned out to be a great product. You may click here for my full review. Anyhow, though St. Ives immediately won my heart, I still couldn't resist the idea of comparing it to Vaseline. This is why I snagged one even if it wasn't included in the sale. 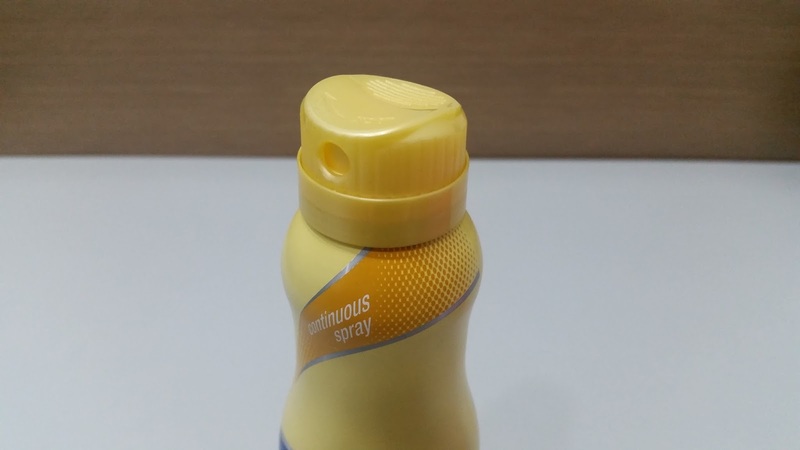 This product is housed in a 6.5 oz spray canister. I love that it has a cap which you can twist either way to open and close the nozzle. The entire bottle has a matte texture with a tapered neck hence giving you a better grip. I'm actually impressed with how the spray works. The nozzle effortlessly delivers an even mist of moisturizer with just a light pressure on the cap. Instructions on how to use it is illustrated on the back and is pretty much the same with St. Ives. Just direct the nozzle and hold it 4 inches away from your desired body surface, gently push the cap and swirl all around your body. Quickly rub into your skin and you're off to go. This has a hint of vanilla scent which doesn't appeal much to me since I prefer the citrus fragrance of St. Ives. It gives off a cooling effect once the mist touches your skin. It turns into a light creamy texture that applies easily and gets absorbed fast leaving you with well moisturized skin. It's non-sticky and keeps your skin well hydrated the entire day although reapplication is a breeze. Overall, I'm currently enjoying this product although I do prefer the citrus scent of St. Ives a lot better. It's also priced reasonably at Php 344.75, just Php 20 more expensive than St. Ives. This moisturizer is indeed another amazing product from Vaseline. If it weren't for the scent, I would've preferred this over St. Ives. I just hope Vaseline comes out with varied fragrances in the future. Any thoughts? Do share them on the comments section below and I'll get back to you soon. Thank you for reading this post and have a great weekend!